Are you a shipper who’s looking to get a better handle on what accessorial charges apply to your LTL shipments? Accessorials can differ from one shipper to another depending upon what you ship, where you ship, and many other things that pertain to your business. We lay it all out so it’s easy to understand which accessorial charges apply to your LTL shipments and which ones you may never have to worry about. What is an accessorial fee? Why are accessorial fees charged? What are the most common accessorial fees? How can I avoid surprise accessorial fees? Why are accessorial fees different between LTL carriers? How can I get an accurate quote for the cost of shipping my LTL freight? This guide is mainly for the novice shipper, but veterans of the industry should also find this useful as a reminder of all the accessorials that can apply to your freight. 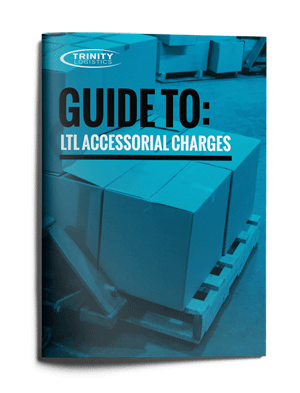 To download this free LTL Accessorial Charges white paper, fill out the form below.